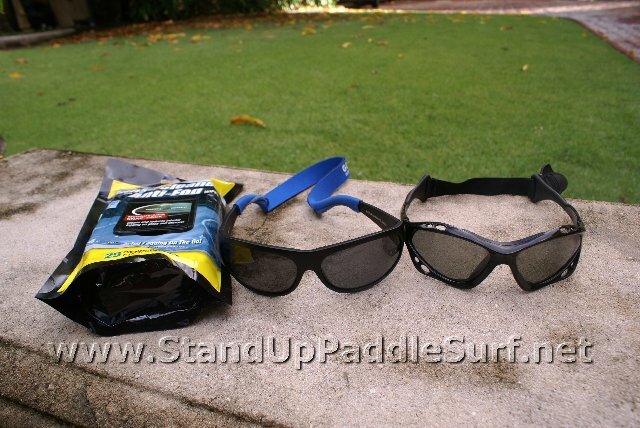 I recently picked up a pair of Hobie polarized sunglasses at the Battle of the Paddle 2009 in California and so far so good. Prior to using these sunglasses I used Sea Specs because they are polarized, light, have a neck strap and are fairly inexpensive. I think they cost me $50 or so and I got the Hobie’s on sale for $40. Designing brothers Chip and Pepper Foster made their mark in the fashion industry as the “Canadian surfers”, residing in Los Angeles, California. Today, Pepper Foster announces he is bringing surfing (stand up paddle boarding) back to his home roots in Canada by exclusively owning Boardworks for the Canadian market and will be focused on launching the Hawaiian-based brand C4 Waterman SUP’s Stand up paddleboards across the country. 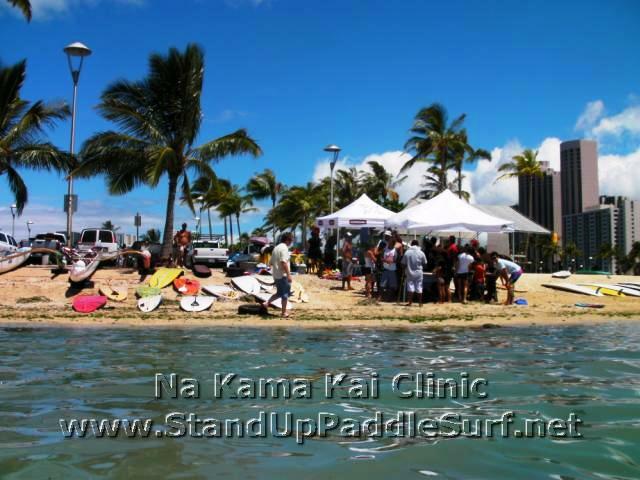 Na Kama Kai is the brain child of Hawaii waterman Duane DeSoto. Duane is a professional longboarder and also competes in SUP stand up paddle competitions. He is the solo winner for the 2008 Molokai to Oahu race. Duane started Na Kama Kai and you can get more info at www.nakamakai.com. I finally got a chance to attend one of their ocean clinics and my kids had a blast. If you have kids, you should definitely take them to one or more of these, especially since they’re free. The clinics are held once a month and you can see the schedule on their site. Here are some pictures and a video I shot from the clinic we attended. The Stand Up World Tour Contenders introduces the concept of high performance Stand Up Paddling, and the World Championship Tour that has been set up as a proving ground for the world’s most celebrated ocean sports athletes. 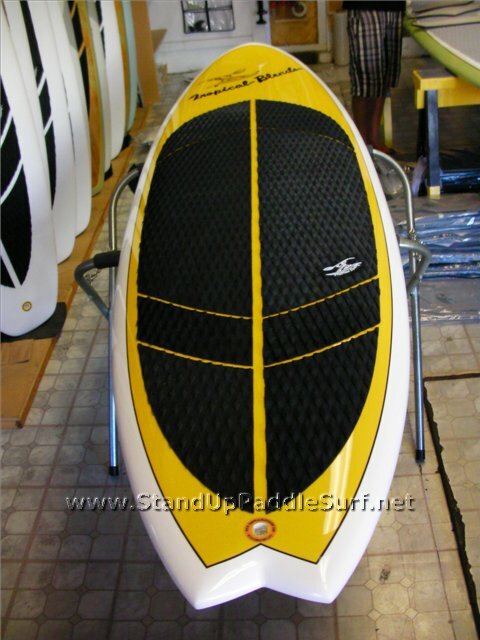 Here’s another board that Joe Bark showed me during my visit to his SUP stand up paddle race board and paddleboard factory. 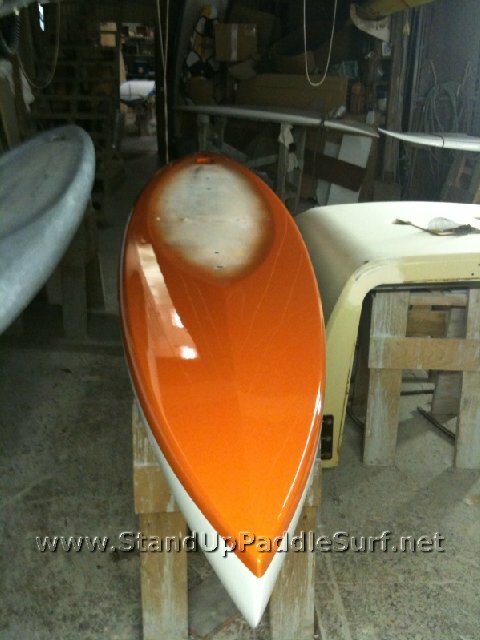 This one is an 18′ SUP stand up race board. 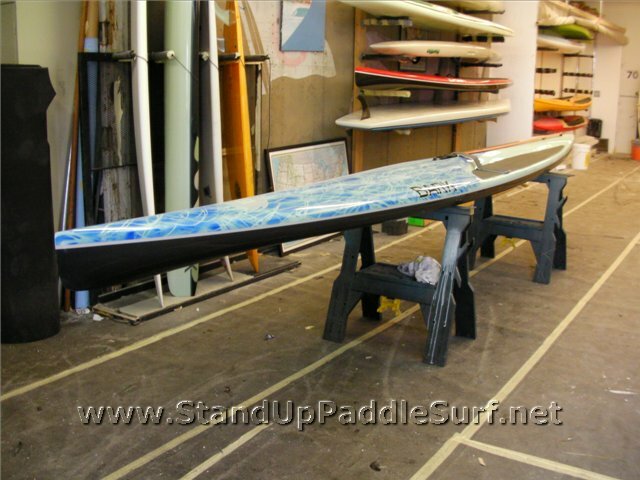 I’ve ridden an older version Bark 18′ full carbon race SUP a few months ago in a Hawaii Kai run. It was originally made for Herbie Titcomb and later sold to Robert Stehlik who has been doing really well on it. That board is a bit different than the one Joe showed me. Paddle Surfing was started back in the 40’s by the Waikiki Beach boys on Oahu. 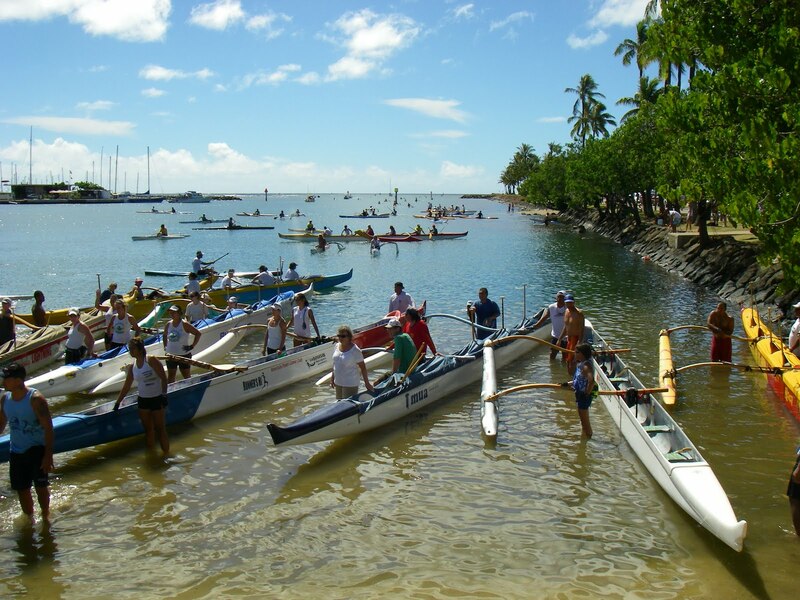 They would use their outrigger paddles to “paddle surf” their big boards around the tourists and take pictures. Today, Stand Up Paddling is the fastest growing water sport on the planet due to its easy learning curve. Though you may have seen surf legends Laird Hamilton, Dave Kalama or Robby Naish surfing huge waves, there are plenty of calm waters around Maui to learn on. Pretty much anyone can do it and it’s making surfers out of everyone. 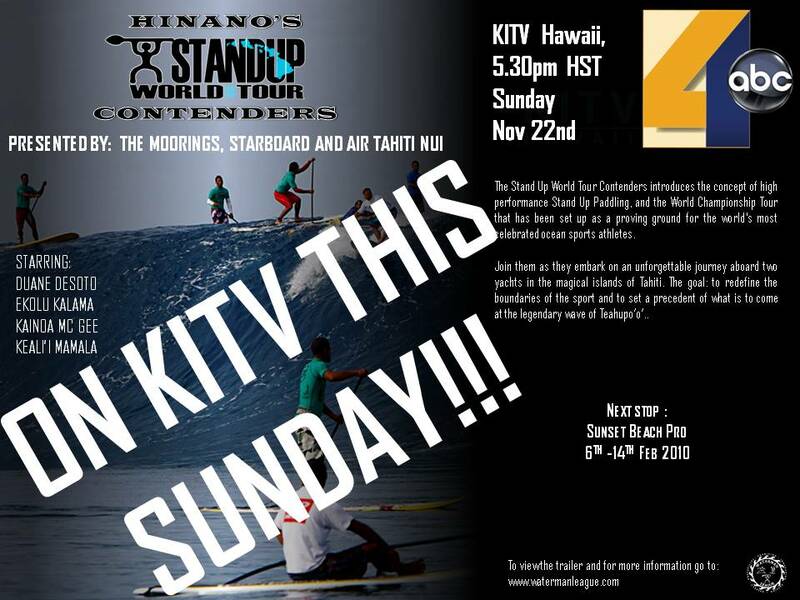 Here’s some clips of my friend Kekoa surfing Diamond Head. It’s from a while back but I figured I’d just post it anyway. When visiting Tropical Blends Surf the other day, Jim mentioned that the Paha 9′1″ SUP model was the best surfing SUP he’s ridden so far. We’ll have to take this for a demo ourselves to see for ourselves. In the meantime, here’s the specs below. Joe Bark is one of the dominant shapers for paddleboards and stand up paddle race boards. On a recent trip to California I stopped by his factory and Joe gave me a quick tour. I found the address for the factory but it was a series of warehouse buildings, many without any signs. Just as I was going to call Joe to ask which one he was in, I saw a huge pile of foam. At that point, I knew I found the right place. Joe also spent some time showing the new boards he’s working on and how he tests their performance. I took a few pictures but the videos will give you a personal tour of the factory. Win a Starboard SUP board! 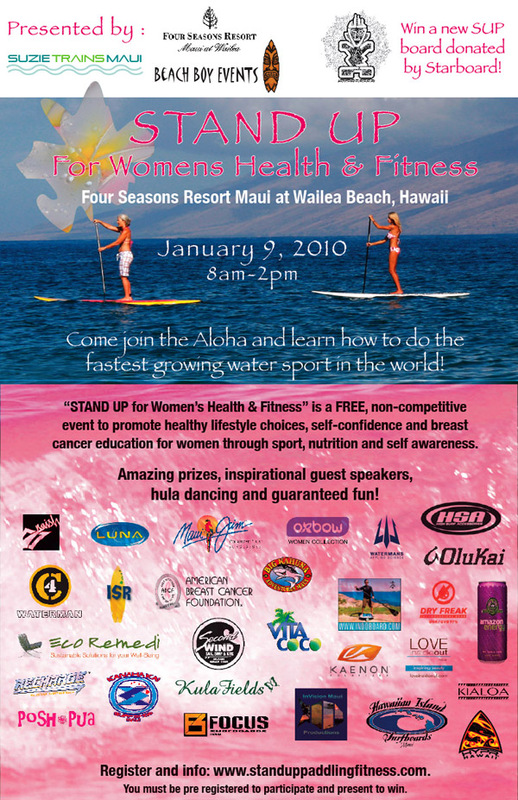 Starboard donates a new Stand Up Paddle board to the “STAND UP For Women’s Health & Fitness” event to be held at the Four Seasons Resort, Maui this January 9, 2010! Starboard, an SUP industry pioneer and market leader, has stepped up to the “STAND UP For Women’s Health & Fitness” call for a remarkable prize and will be providing a new SUP board in the highly anticipated RAFFLE event. Come Celebrate Women’s Health and Fitness on the beauitful island of Maui! Event: “STAND UP For Women’s Health & Fitness” at Four Seasons Resort Maui at Wailea Beach on the beautiful Island of Maui. The Fallen Guardian Memorial race was held on Sunday Nov. 1st 2009. The race was open to all kinds of watercraft, check out the traffic jam at the finish. I know this is a promotional video but it does a great job at showing how excited people get when they first SUP and how accessible this sport is becoming. This is one of the best promotional videos I’ve seen so far. This was shot in Seattle, Washington. 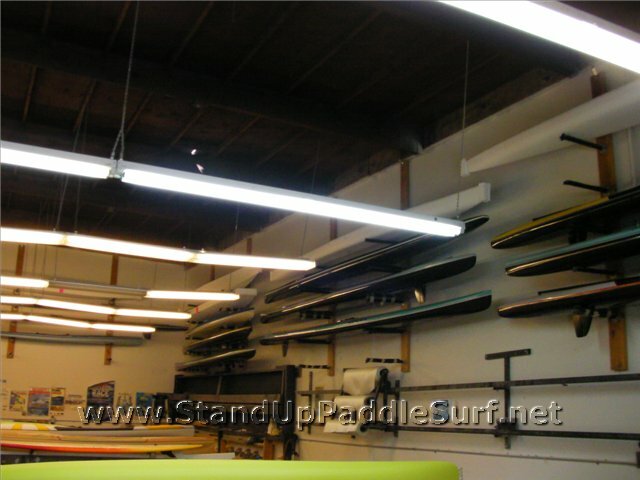 You are currently browsing the Stand Up Paddle Surfing in Hawaii - StandUpPaddleSurf.net weblog archives for the month November, 2009.